4th of July is surely the most quintessential American holiday, although it’s hard to pick a favourite between its flags and fireworks, the costumed revelry of Halloween and the eatfest that is Thanksgiving. Falling in early summer, Independence Day is the perfect excuse to get outdoors, roast in the sun and party hard (not unlike our own Australia Day, to be honest). We had a great time putting together a gourmet meal we could grill on my friend Pi’s East Village rooftop – buttered corn cobs, marinated skirt steak, crusty rolls, a fresh salad and of course potato salad. But the big highlight of the day is the fireworks. 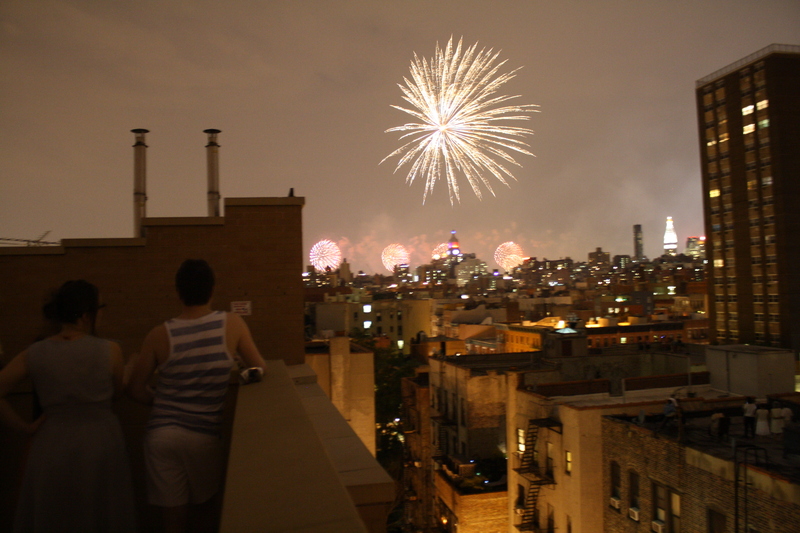 Here in New York, one of the big department stores puts on a huge fireworks show every 4th of July. It’s a source of some contention that for the last few years the fireworks have been staged on the Hudson River, giving a free show to those in neighbouring New Jersey rather than the denizens of Brooklyn and Queens who’d be able to see the fireworks if they were on the East River. But everyone still wants to see the show, and so once the sun set after 9pm we climbed a rickety ladder to the very top of the building and watched people do the same around us. There’s a special camaraderie to cheering along with people at other parties as you share a spectacle like that. It kinda speaks to that very New York sense that you can live right on top of people and never meet them; and you can also suddenly forge a blazing friendship based on a chance encounter. 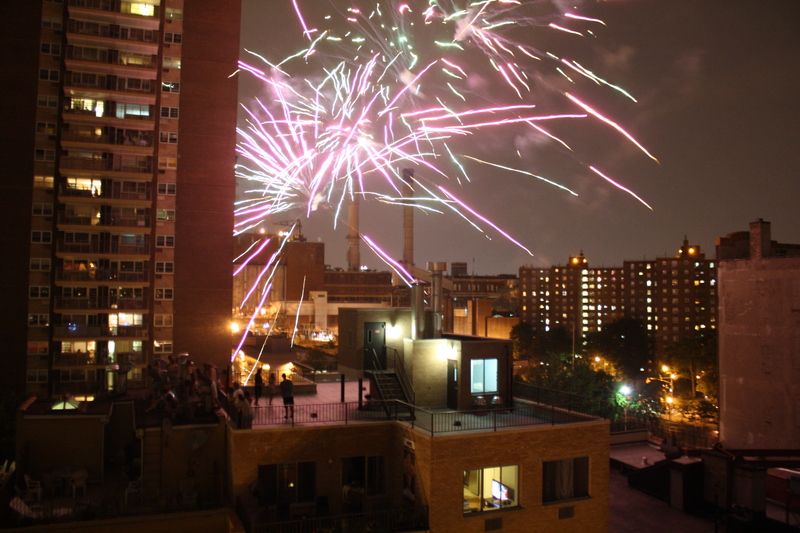 The official fireworks were as amazing as ever, but more than I remember last year there was a cacophony of explosions from buildings in every direction around us. There were showers of sparks at street level, crackles and pops from the Financial District, and with a shocking boom the neighbours at the next building let off a bunch of crackers. Talk about extremely loud and incredibly close! It was the kind of sparkling night you never want to end. Definitely the kind of night you imagine when you dream of New York, although perhaps a little sweatier.